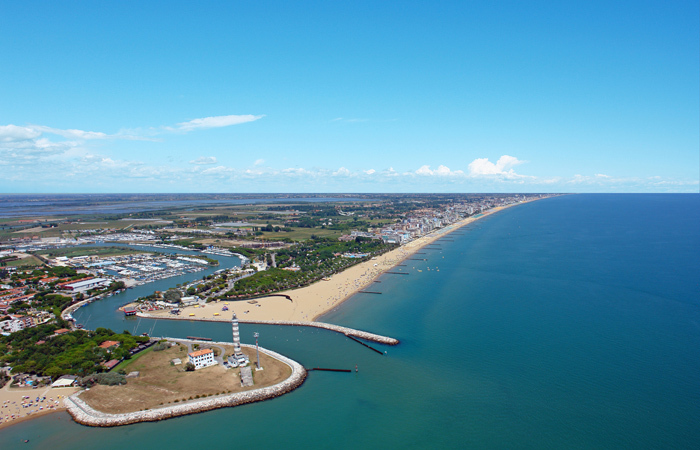 Jesolo beach is 15 Km long, starting from the Pineta, the town’s green lungs, to the modern and best equipped beaches of the Adriatic Sea.The golden and thin sand has special healing properties and the shallow waters are broken by the typical piers. The very long beach offers sport and fun activities for all ages, exciting initiatives for everyone, not to mention the artistic sand sculptures. 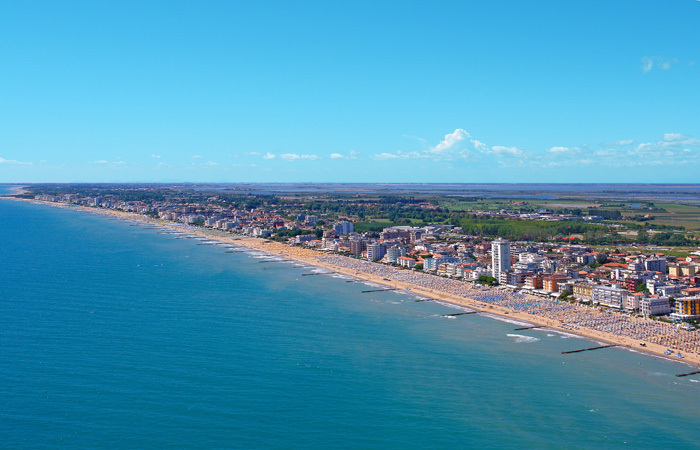 For the 7th year in a row, Jesolo has won the BLUE FLAG OF ITALIAN BEACHES 2010, which means that the town has been rewarded for having an exceptionally high quality of sea water and also for the excellent service offered on the beach. The Blue Flag guarantees not only the quality of sea water, the cleansiness of the beach and the efficiency of tourist services, but also the perfect balance between tourist services and respect of nature. 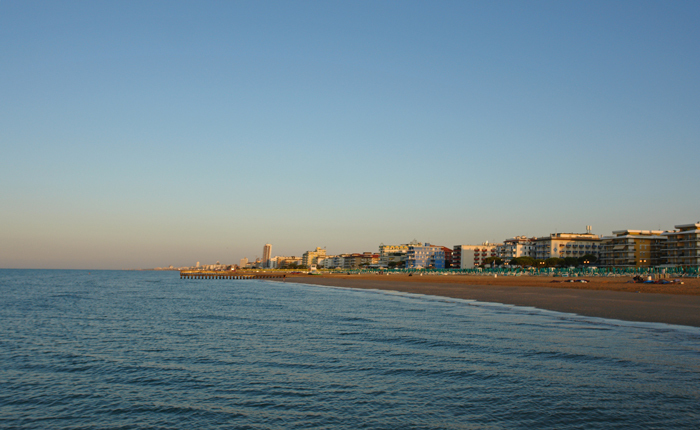 In Jesolo you can take exciting boat rides that will show you unforgettable landscapes and scenes. 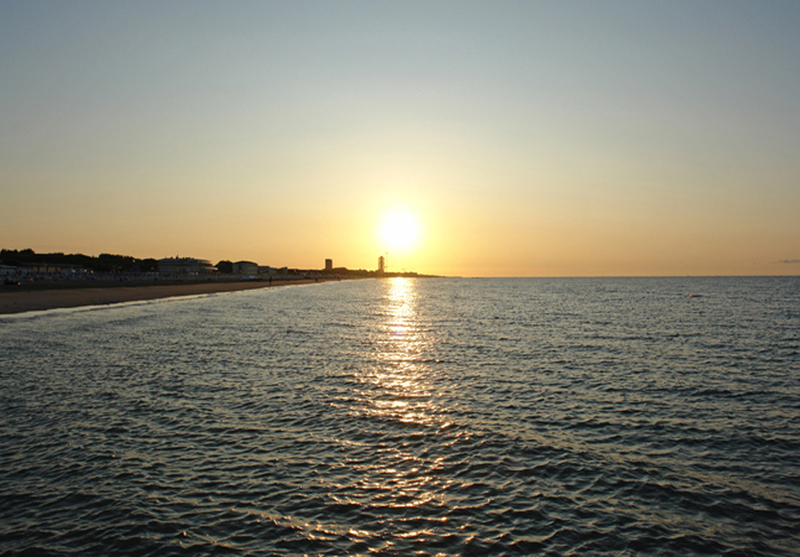 Only half an hour from Venice, you can easily travel from Jesolo on a fun trip. Piazza Milano, in Jesolo East, offers sailing classes for kids, young people and adults at the “SAIL BEACH JESOLO”. At this sport center you can find CANOE AND SWIMMING LESSONS, BEACH VOLLEY, BEACH TENNIS AND HOBBIE CAT RENTAL.